THE 5BEL Trust saw its hopes dashed of returning the ‘Brighton Belle’ to service in the same year that Flying Scotsman finally re-emerged on the main line. After a frustrating year, beset by problems with the complex re-wiring of the motor third carriages, the trust reluctantly took the decision to leave its home at Barrow Hill, a process which cost almost six months of productive activity. Spokesman Neil Marshall paid tribute to the ground-breaking work carried out by Rampart Engineering. 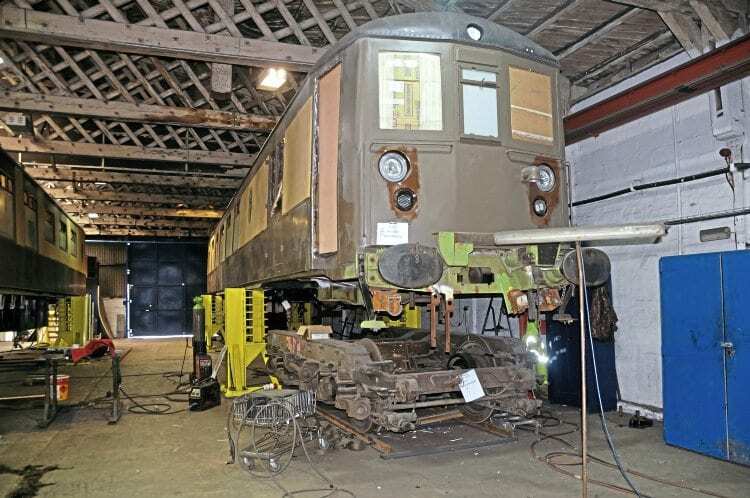 “They were able to achieve what everyone said was impossible and Paul Ramsden has created a national centre of excellence for heritage railway restoration at Barrow Hill.